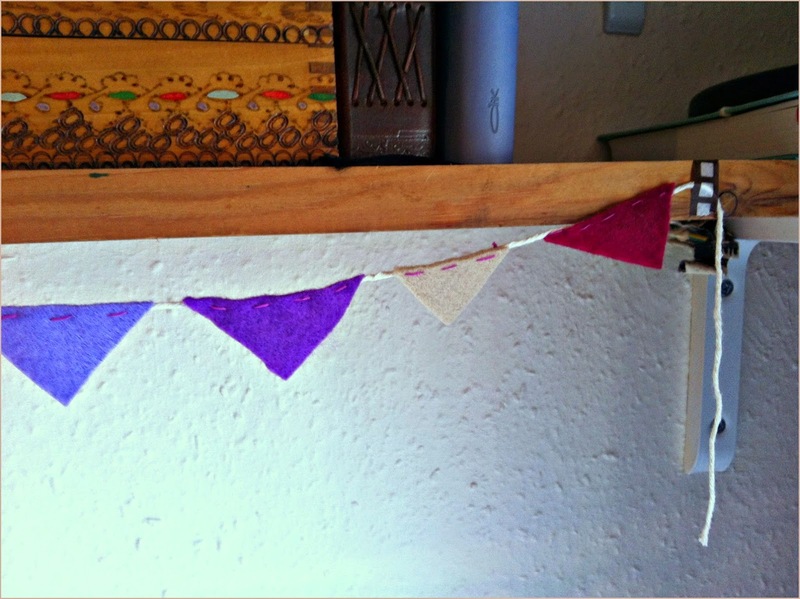 Whether it's to brighten up a sad and sombre office, to bring some handmade fun to your bookshelf or perhaps you're looking for a quick and super cute celebratory garland to bring in the cheer; this easy to create, felt bunting will do the trick! 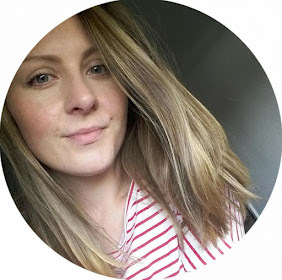 All you need for this mini piece of crafting is some felt, string and good old fashioned needle, thread, scissors and your trusty thimble. It is as simple as this; cut your pieces of felt into small triangles, however big small or isosceles as you like, in whatever colour combination you fancy. 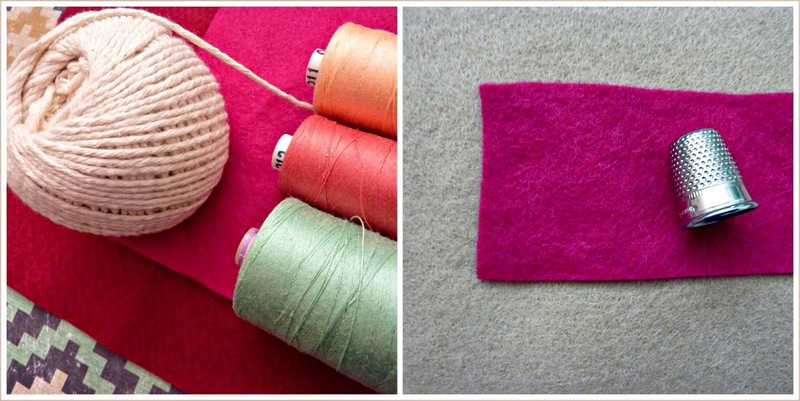 The beauty of felt is that it doesn't split or fray so no need to worry about seams or hemming! 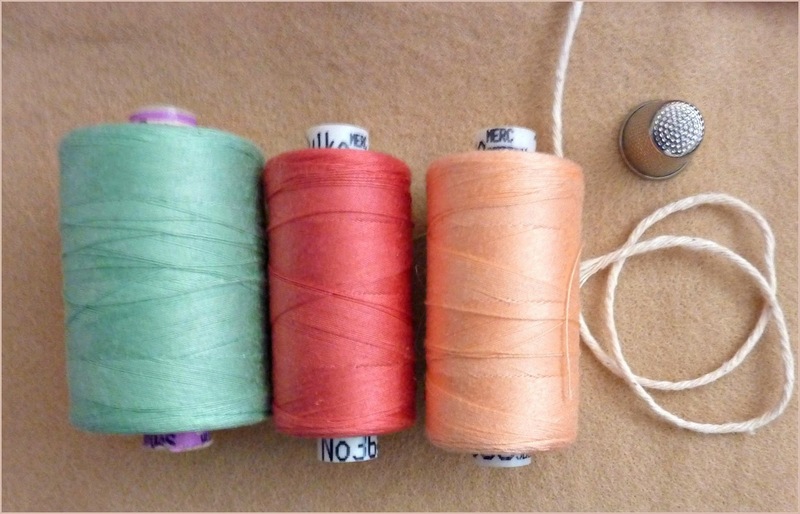 Once you have your coloured pieces in order, and have chosen a contrasting or complimenting coloured thread then go ahead and stitch those little guys to your length of string. It would be a good idea to chose where you will be displaying the garland, in advance. If it's going to sit on a shelf then perhaps measure your length of string against the shelf, this way you know how much to cut from the ball and how many triangles to attach. I used a basic straight stitch across the top of my triangle, but again, you can get as creative as you like with these. There really are no limitations! Next step, go hang them EVERYWHERE! 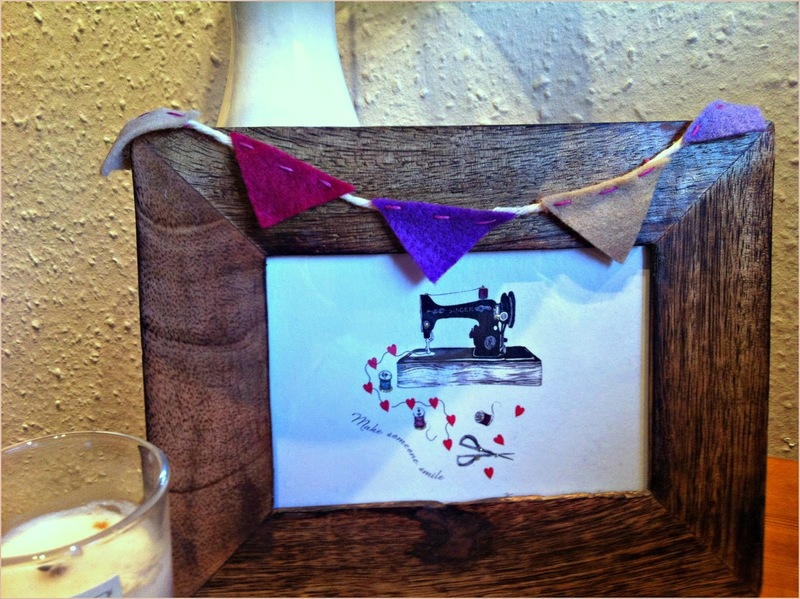 I have decorated just about everything with these little chaps, including across the top of my sewing machine. Just think of the colour combinations you could use for a Spring inspired number!! 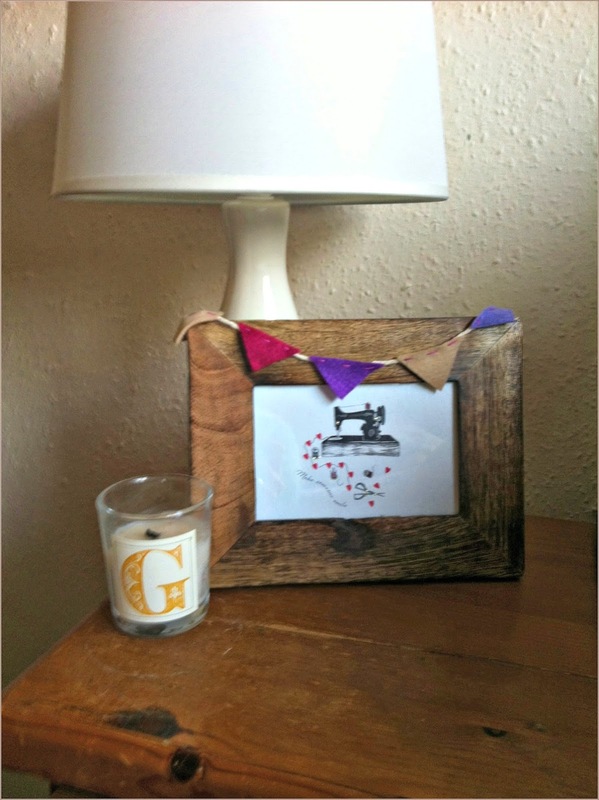 These look cute - they look lovely on the picture frame :) I might have to try this! This is adorable - you go with your bunting, girl!! I refuse to believe you can't do this one ; ) Go for it go for it!